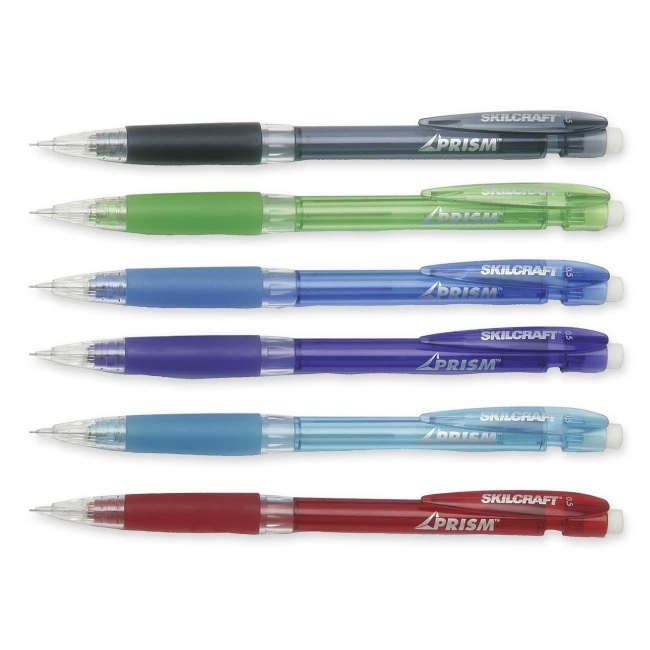 Prism Mechanical Pencil features a translucent barrel and latex-free rubber grip to minimize allergic reactions. Design includes a fixed sleeve. 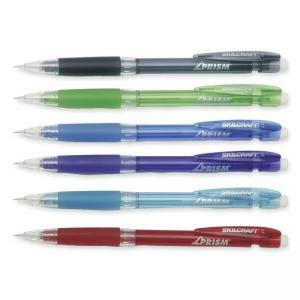 Refillable mechanical pencil comes in two each of the following colors: blue, green, turquoise, smoke, red, and purple.